Mackwiller's Mithra – Mithraeum. Our Common Sun. Fragments of a statue in greyish sandstone. 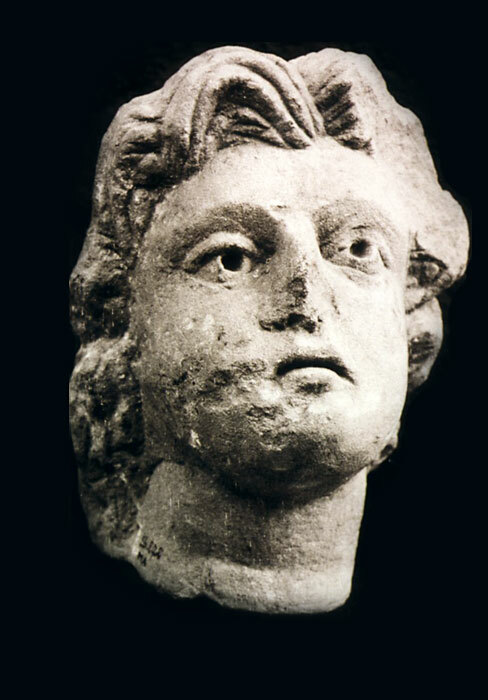 Head of Mithras as a bullkiller; the eyes were laid in with glass. Parts of the drapery.